Following a review of the latest heavy lifting equipment facilitated by Cooper Specialised Handling, a well-established container services company has added a new SANY empty container handler to its fleet. 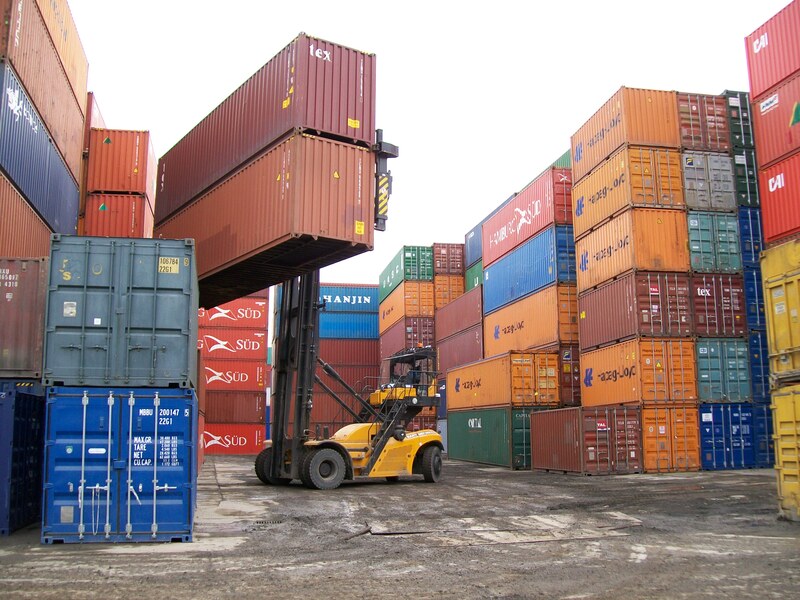 With 25 years of experience in the shipping container industry, Northern Containers specialises in the sale of new and used containers. Part of the Ace Group, it operates a UK-wide container hire service, provides depot and self-storage facilities and carries out conversions and fabrications. The company was due to replace one of its machines and a SANY SDCY100K7G-T double lift empty container handler is now in service at its Leeds base. The acquisition of new equipment represents a major investment for Northern Containers, so managing director Sean Birdsall and Ace Group CEO John Hanson set up a fact-finding mission, travelling throughout Europe, including Denmark and Sweden, to assess which manufacturer could best meet their requirements. Cooper Specialised Handling is SANY's exclusive distributor in the UK and hosted a visit to the manufacturer's European headquarters near Dusseldorf, Germany. Northern Containers was able to review machine capabilities at close quarters, as SANY empty container handlers were put through their paces in simulations of typical applications. Sean Birdsall said: "Our operation demands quality equipment that we can rely on day in, day out and we were impressed both with SANY's manufacturing facilities, the build quality of the trucks, overall machine stability and the high standard specification. "For us, it's also important to work with an experienced partner who understands our business and Cooper Specialised Handling has given us untold support, creating a cost-effective handling solution that is already boosting productivity." Built on a nominal 30-tonne chassis, the SANY SDCY100K7G-T was specified with 14.00 x 24 solid tyres. Not only does this larger-than-standard diameter tyre offer a smoother ride, but also, in a ground-breaking twist, the solid tyres do not interfere with the structural warranty and the machine was supplied with a full and extended warranty. SANY is believed to be the only manufacturer of empty container handlers to fabricate its own structural assemblies in-house. To ensure the SANY empty container handler would meet the customer's needs, Cooper incorporated a series of options to the specification at no extra cost. Supplied as part of its Valu+ initiative, they include a double box with hook and side clamp and Autolube attachments and spreader. A Grammer XL seat with air suspension, heating and lumber support;additional cabin lighting and a rear window sun curtain enhance operator comfort, while a reversing camera and rear sensors offer greater visibility during manoeuvring and so promote safety. Cooper Specialised Handling's sales director Chris Barnes said: "We're delighted to have secured this important new contract with Northern Containers. Seeing the equipment at work in a realistic environment enabled the directors to gain a better understanding of the technology and appreciate how they can use it to benefit their expanding business operation." Caption: Northern Containers is improving productivity with a new SANY SDCY100K7G-T double lift empty container handler. Cooper Specialised Handling operates in all sectors of heavy lifting across the UK and Ireland. It is the exclusive UK distributor for Meclift and Sany equipment, sole importer and distributor for Mantsinen cranes and a specialist in Konecranes lift trucks. The company also has a specialist aftersales division, Cooper Handling Solutions. Independently owned, Cooper offers total solutions comprising high quality, high value products and reliable service for customers operating in the toughest sectors across freight, ports, inter-modal terminals and other heavy lifting industries.